I have come to the conclusion that I'm a sicko. I have the worst DOMS in my hamstrings due to dead lifts. This happens every time, but this time they are SORE! The sick part...I love it. I know, what's wrong with me? Never mind, don't answer that. So, I've been getting a lot of questions about the lemon pound cakes I made the other day. The main question is wether you have to use eggs. The answer is no. A really good friend of mine made a non-lemon version for her son's first birthday using egg replacer, since her little guy can't have eggs. It works, no problem. Well, out of curiosity, I wanted to know if I could use flax eggs. The answer is YES! Every time we go to a farmer's market during the fall, I start to crave those old fashion doughnuts with nutmeg. This is nothing like that, but it was my way of getting that flavor and it hit the nail on the head in my family's opinion. These were crispy on the outside. Tony and I wanted more of the bottoms, while Jay just wanted more! The crunchy, slightly sweetened exterior was so good! The inside was so light and fluffy! I used Smart Balance Light instead of the Earthbalance from the pound cakes. I also added xanthan gum too. It changed the texture, but not in a bad way...just different, lighter and fluffier. No one would ever know these were gluten, dairy, egg and soy free. Preheat the oven to 350 degrees. 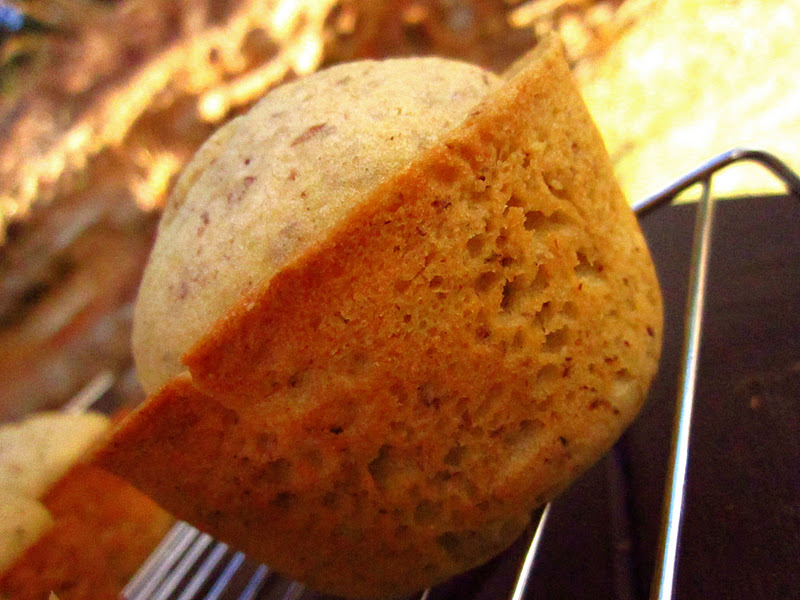 Spray oil into muffin cups. In a mixing bowl, blend the sugar, stevia and smart balance light until mixed well and fluffy. Combine the flours through salt together in a bowl. Add the flax to the butter mixture and mix well. Next add the dry ingredients and mix well. Now, slowly pour the milk into the sugar mixture and mix well. Evenly distribute the batter into 5 jumbo cupcake cups and bake for 30-35 minutes. Allow to cool 5 minutes in pan and then remove. 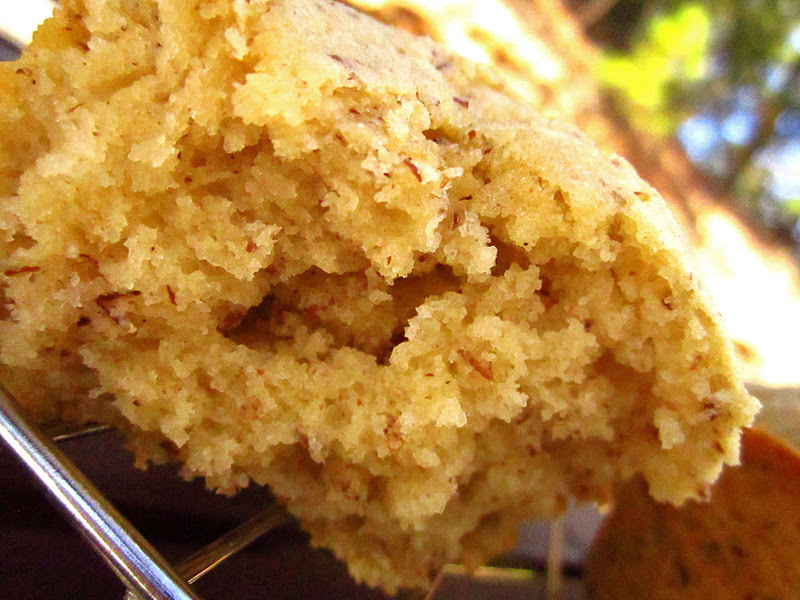 nutmeg is such a great spice! and your muffies are PERFECT looking! I sorta love that sore feeling, too. Sure- I'll complain about it, but it's a great reminder to let me know how good my workout was and that I made a difference. It's weird. I love being sore. I can't help it - it hurts so good! And I love nutmeg. Especially with pumpkin! 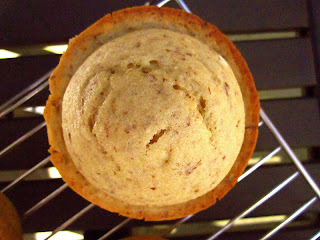 yum -- nutmeg is lovely! I find that I usually have to halve the amount, because although I'm a spice lovin' sort of girl, nutmeg can be a bit too overwhelming for me. But these muffins look fabulous and served warm on a cold morning -- perfect! I feel the same way about sore muscles...I work out in some form pretty much every day, and feel so satisfied when I'm a little sore...it feels like I've accomplished something! 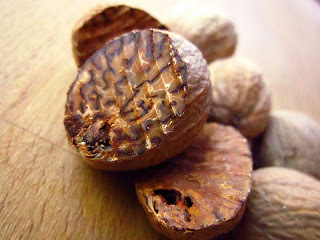 i love nutmeg! these look so yummy and healthy too!! <3 awesome work! :) Oh, I'm a sicko, too. I did a ton of lunges and squats on Sunday and was still walking funny yesterday. Hehe. I loved it though. these muffins look SO good. mmm - I am imagining those fresh farmers market donuts. Mmmm I bet those are SO good!! I definitely love being sore because it makes me feel like I actually worked my muscles!! Love nutmeg!!! These sound amazing :) Can't wait to try them. nothing beats freshly grated nutmeg!! The muffins look awesome---I really love nutmeg and need more reasons to use it! These muffins, wow they sound amazing. I don't use nutmeg enough. I LOVE feeling sore after working out. It is such a good sensation really - in a demented way. Nutmeg, brilliant! I've never highlighted that spice in a recipe. A little soreness is a good thing to me, too. It means I actually pushed myself a little bit. Your muffins look delish. And perfectly shaped. :) My muffins always turn out mishapen and ugly! 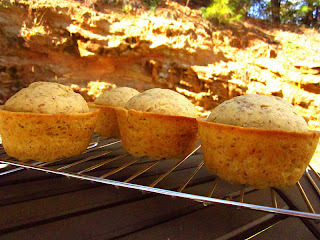 Seen your muffins from HEAB's site. Do you mind if I ask why you use the sugar (3/4) AND NuNaturals?? B n B, Thanks for stopping by. 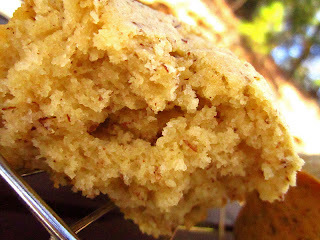 I use the mix of sugar and stevia because I know I can lower the sugar in my baking without altering the flavor this way. My boys won't go for just stevia. I hope you like them. We loved them! Anonymous, I think it would work especially if you use a baking blend. My boys won't let me get away with it, so I just lower the sugar. Let me know if try it.